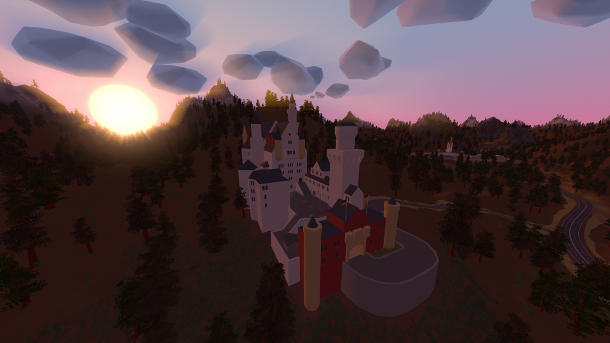 An overview of the latest news and updates on Unturned. Added dynamic snowstorms, options in map and config for blizzard frequency/duration and ambiance volume controls to limit rain and snow to specific areas. Added weather command which takes none, storm or blizzard as inputs. Added decal importer for custom decal objects. Example in Bundles/Objects/Small/Decals/Test_Auto_Decal. Added ability to translate EconInfo.json by appending language name e.g. EconInfo_Russian.json or adding an EconInfo.json file to your localization’s folder for example inside the Russian folder. Added ability to translate keyboard names in /Shared/KeyCodes.dat. Added ability for ambiance volumes to override fog settings. Improved workshop download support on the server. Tweaked top and bottom of vehicle to count as valid exit points. Tweaked to prevent building inside teleporter chamber. Fixed buildables attached to vehicles preventing exit. Fixed to prevent entering vehicles whose exits are blocked. Fixed logging out of server while in blocked vehicle. Added Secrets of Neuschwanstein easter egg. Added Prison Warden’s Key and ability to lock and unlock cell doors. Added German versions of emergency vehicles. Added support for guns with multiple calibers. Added option for certain areas to have a higher max number of zombies. Tweaked Berlin to have a higher max number of zombies to be more lifelike. Tweaked Augewehr, Nightraider and Fusilaut to take both ranger and military ammunition. Tweaked Syndicate to look more serious. The new Germany map is finally here and available to play under the Official maps tab! Next Friday 07/07/17 marks Unturned’s 3rd year on Steam! I can’t believe it’s been so long already. The time has just flown by, I’ve loved every second of it, and I’m excited to continue working on Unturned in the years to come. 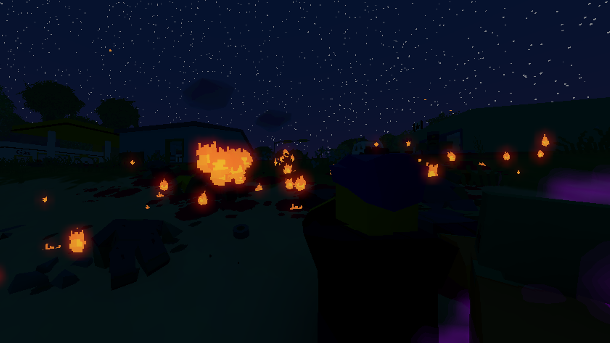 As part of the event Unturned will finally be transitioning out of early access, and to celebrate it will be accompanied by the 3.20.0.0 update containing the new map I’ve been working on these past months! Everything in the new map is coming together. Next up the polishing steps such as lighting, balance adjustments, story notes, etc! Added achievement for defeating the magma zombie boss. Added per-navmesh zombie difficulty option. Added nav clip volume for helping zombies navigate complex areas. Improved navmesh baking to work with landscape holes. Tweaked Hawaii gyrocopter to only be craftable on Hawaii. Tweaked HMG rounds to deal explosive splash damage. The community team which created Hawaii has been hard at work on an expansion to the map with tons of new content and locations to discover! It’s now available to play and includes 30+ new quests. Added 7 new cosmetics/skins to the Hawaii Mystery Box. Added gameplay config for min/max drops from normal, mega and boss zombies. Added emission multiplier to effect volumes. Added landmarks quality graphics option. Added teleport NPC reward type to move player to specific spawnpoint in level. Added crouch as a NPC pose option as well as Pose_Lean, Pose_Pitch and Pose_Head_Offset options. Added invulnerable and explosion proof tags for destructible objects. Added new guns and melees to skin source files. All of the objects, nature assets and vehicles on my to-do list for the new map are now done! Though a few more are bound to come up as I go I think there’s a lot of exciting stuff including suggestions going back several maps. The next step is creating the level itself: from the landscape to the decorations, spawns, lighting, etc. Added Top Gun quest for Andy on the Liberator. Added assets for waterfalls, simple example in Devtest4. Added effect volumes to devkit for placing particle effects. Added lock handles option to selection tool. Added ability to spawn objects/types by E hotkey in devkit. Added search fields to landscape and foliage filtered browsers. Improved to run execute.config from cloud folder as well. Hawaii is Unturned’s first Curated map and now available in-game! If you are enjoying the map and would like to support them consider checking out the new Hawaii Mystery Box! Edit: There’s been an overwhelming number of submissions, so many so that the e-mail server has been up and down! I’ve started accepting winners, but it’s too many for me to individually parse through. The contest will continue through the next update with more info on a better submission process then. Are you a survivor with an eye for photography? 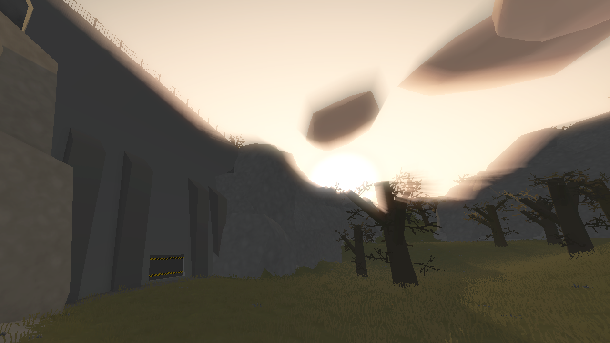 You’re in luck - this week we’re running a contest to update Unturned’s loading screens! If your screenshot is selected it will be used in the background art and you’ll win a special in-game item! All vehicles now spawn with a battery. The battery charges while the engine is running, and drains down if the headlights/siren are left on with the engine off. If the battery runs out while driving the horn, headlights, taillights and sirens will stop working. If the battery is dead when entering the vehicle the ignition will not function. You can remove the battery in the vehicle context menu, and add one by using a replacement found at mechanics/gas stations. Valve have confirmed they’re working on fixing it for the next Steam update, however there isn’t a solid release date for that yet. In the meantime a temporary workaround is to dequip your skins and cosmetics. Added selection tool options menu. Added kill volumes to devkit. Added basis for gamemode mods. Improved PEI materials/boulders to more closely match reality. The first community-created mystery box is now dropping as the January 2017 Workshop Crate #1! All of the contents were voted on in the curated workshop, and are the first time you can get mythical variants of workshop items! To open a workshop crate you will need the associated workshop key available from the stockpile. This is because the sales of the special key are split with the creators of the items in the crate. Future non-workshop mystery boxes will continue to use the normal mystery box key, however. 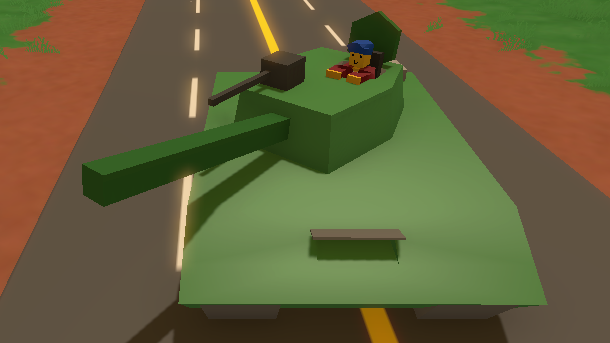 Added vehicle perspective option which limits third person to vehicles only. Cleaned up after festive event. Fixed precision building mode sometimes getting scrambled when moving large numbers of objects between tiles. Unturned has been nominated for the “I Thought This Game Was Cool Before It Won An Award” award alongside Starbound, Euro Truck Simulator 2, Stardew Valley and Paladins! Edit: Voting for this award has now closed. 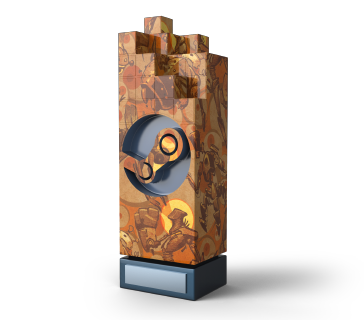 Congratulations to the developers of Euro Truck Simulator 2 for winning the award! The improved BattlEye security this update has made it harder for cheaters to break into the game, but it’s also had the unexpected side effect of blocking the Steam overlay due to the order in which Unity starts up the game. Unfortunately this means it can’t be fixed from within Unturned itself in a patch, but we’ve come up with a few ideas and hope to have it working properly again for the next update. Edit: This has been fixed in the 3.17.10.1 patch. Added ability to pop out editor windows and keep in fullscreen. Added new upgraded translation system. Added basic visuals for selection and terrain brush tools. Added new undo/redo system to the devkit. Accepted 9 new curated workshop items. Improved editor to save default window layout and menu for saving/loading. Improved debug lines intersecting objects to darken and checkerboard. Tweaked command line to forward terminal commands. Added graphics option to enable SMAA. Added ability to pose/mirror mannequins. Added ability to delete cosmetics/skins. Accepted a few new curated workshop items. Updated from Unity 5.2.5f1 to 5.4.0p4. Improved every single light to use emissive textures rather than halos. Improved server info to list names of workshop files installed. Improved server info screen to show config changes. Improved nightvision glow to enable/disable. Improved taclaser/rangefinder to work in 3rd person. Added new server info screen when connecting. Added ability to rotate items in display storage. Added graphics options to enable/disable ragdolls and debris. Added config options for remaining gamemode differences. Improved performance of several core systems. Tweaked medium/small engines to use the old audio. Fixed potential cause of storage stuck in “busy” state. Added support for server plugins to request client to view URL. Added guide for creating community updates. Improved objects to save by file name rather than ID. Tweaked several more actions/sounds to attract zombies. Tweaked generator/fire/drill noises to be less annoying. The map you’ve all been waiting for is finally here - Russia is now available to play! Added landmark LODs for most large objects. Added automatic landmark LODs for trees. Added landmark draw distance option. Added region complexity to visibility menu in editor. Added config options for losses from combat vs environment deaths. Added buttons to enable/disable skins and mythics in-game. Added new faces and wheel of emotions to gestures menu. Added new hair and beard styles. Accepted several new curated workshop items. Russian survivors have recovered a key military storage depot housing a huge arsenal of Russia’s finest weapons, and have begun shipping them out to share with the Coalition. This week the full arsenal of newly uncovered weapons is deployed in Coalition airdrops! Russian survivors have recovered a key military storage depot housing a huge arsenal of Russia’s finest weapons, and have begun shipping them out to share with the Coalition. Starting today Coalition airdrops now contain the first half of these newly uncovered weapons! Next week the second half should be ready for deployment. 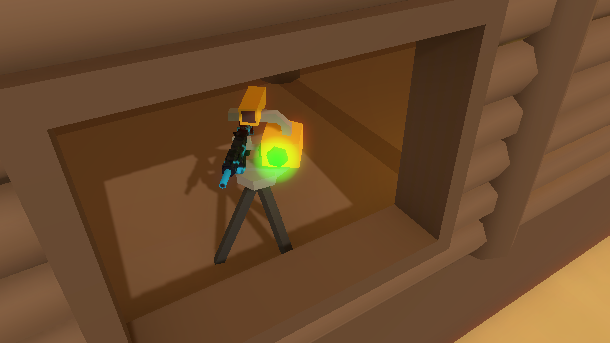 Added ability to repair bases with blowtorch. Improved fuel to store liters rather than refills. Improved vehicle info to show health. Tweaked bullets to travel instantly in easy mode. Tweaked dirty water infection higher again now that it can be purified. Tweaked Flanker zombie to be slightly more challenging. At least 5 new guns have silently been added to Unturned in last fridays update. Nelson has been actively working on a large size Russian map as confirmed in his AMA on Reddit. Of course a new map means new items and weapons, but we did not expect any of this to end up hidden in our game this soon before the new Russian map release. Which reportedly is in a month or two. Today marks 2 years since Unturned launched on Steam! To celebrate this anyone who plays will get dropped the Anniversary Gift Bag which contains a bunch of party hats and a new mythical. Added ability to lock vehicles and vehicle context menu. Added casting strength to fishing which affects time to catch item. Added “Spy” command to see from a player’s perspective. Added config option for spawned quality values and bullet rarity. Added example structure to sources. Accepted 12 new Curated Workshop items. Improved character movement to slide down steep surfaces. Scope sway, bullet drop and bullet travel time have been added! 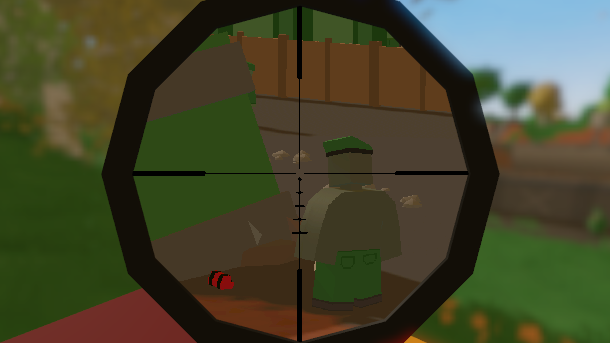 You can steady your scope by holding your sprint key. Dedicated snipers now have slightly longer range with a faster muzzle velocity than all other weapons, and their stats have been adjusted to prevent quickscoping while allowing you to track the bullet through the air to adjust for drop. You can now defend your base while offline! The sentry turret will keep a watchful eye out as long as it receives power and ammunition, and if it spots a hostile player or zombie it will begin peppering them with gunfire. It will not shoot people in your group or handcuffed survivors, and will suspiciously track enemies with their hands up. Improved hitmarkers to show where exactly the shots landed. Improved several destructible objects break effects. Improved tree meshes and foliage shading. Improved non-grass foliage to also blow in the wind. Improved player/vehicle/animal snapshots to use less bandwidth. Improved vector3 compression accuracy in large multiplayer maps. Tweaked explosive crafting recipes and damage. Added destruction to more objects and upgraded several existing ones. Added new road system and associated editor tools. Added new terrain material low/high quality editor tools. Added noise option for terrain brushes. Added dithered height transition option for material baking. Added object scaling tool to editor. Added controls for ascending/descending camera. Added localization key for map names. Improved editor materials, details, road, resources options display. Improved object undo/redo to apply group changes and store more steps. Added facepalm and rest gestures. Added separate column for map on server list. Added per-map sun rays options. Improved appearance of most impact/damage/breaking particle effects. Improved tree/object/animal drops to use spawn tables. Improved player/vehicle update grouping on server. Improved performance of several object/buildable updates. Tweaked viewmodel to tilt when spinning. Added indictators when dying from food/water/infection/oxygen. Added repair/salvage blueprints to many melee/clothing items. Added option for hold/toggle leaning. Added config option for skills/inventory lost on death. Added objects for crops rather than terrain details. Accepted 13 new Curated Workshop items. Improved claim flag/safezone radiator to show claimed/safe areas. Improved ammo crafting to use emptiest first. Added outlines of powered areas when placing powered buildables. Added per-map rain frequency/duration multipliers. Added delay parameter to shutdown command and alert when nearing shutdown. Added option to play warning timer sound before Arena start. Added footstep option for road terrain material. Added ResetConfig command to restore defaults for current mode. Added Hot Mystery Box with 4 new mythical effects. Added 21 new playtime drop cosmetics. Added 14 new playtime drop skin patterns. Added context action for quickly stripping attachments. Added context action for crafting bandages. Added context action for converting plants into seeds. Added context action for wearing clothing. Added basic interactable object documentation. Added localization comparison tool available under the workshop menu. Added progress bar when looking at water/fuel storage. Added capacity to fuel/water sources on the map. Added option to disable zombie stunning. Added options for object/resource reset frequency. Added refresh/back buttons to error log tool. Improved UI to cache item icons that don’t change.